This hose is great for cleaning with open end 50 PSI steam or in a bath containing 10% Sodium Hydroxide at 212°F. 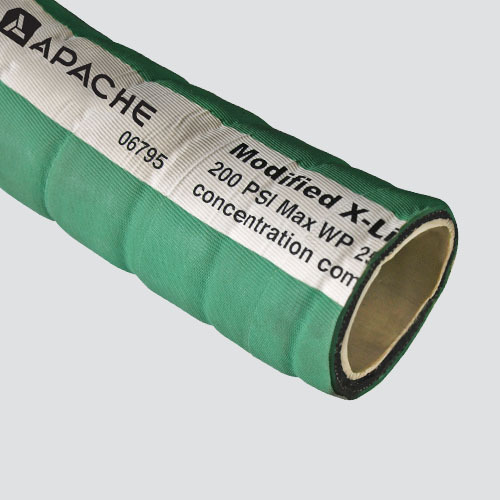 Its modified cross-linked polyethylene tube is "Best in Class" for maintaining a tight seal with stainless steel crimped fittings. *Contact customer service for applications above 125°F. Warning: Consult customer service for applications above 125°F.